After a triumphant performance at Le Guess Who? 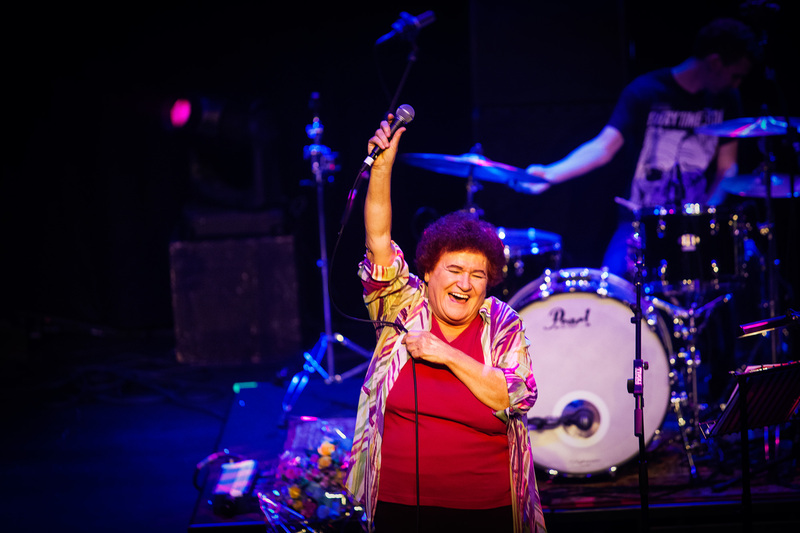 2014, which saw legendary Turkish protest singer and political activist Selda Bağcan close the festival that year, the singer will return to Utrecht on 25 September for a performance at the International Literature Festival Utrecht. The show will be presented in cooperation with Le Guess Who?, and will take place at TivoliVredenburg’s Grote Zaal, together with Bağcan’s band Boom Pam. Tickets are available via the ILFU website. Selda Bağcan’s first singles, about the political struggles of the working class in Turkey, sold over 1 million copies. Her psychedelic interpretations of traditional Turkish folk music and her political views have lost Selda her passport and caused her to be repeatedly imprisoned during the 70s and 80s.